4 DVDs · 7 hrs. 54 mins. Calculus just got a lot less intimidating! 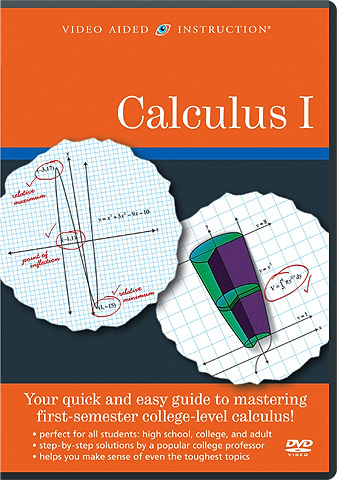 Now you can master an entire year’s worth of college-level calculus quickly and easily with Video Aided Instruction’s Calculus I and Calculus II. The ultimate resource for AP high school students, college students, and adult learners, these sets cover the standard topics taught in calculus classes and are jam-packed with practice questions and strategies for tackling even the most challenging problems. These programs are also perfect for students of physics, economics, engineering, and other fields.